Debbie Wasserman Schultz to step down as chairwoman of the Democratic National Committee at the end of the party's convention. Debbie Wasserman Schultz on Sunday announced she would be stepping down as chairwoman of the Democratic National Committee (DNC) at the end of the party's convention, which is set to begin Monday, CNN reports. 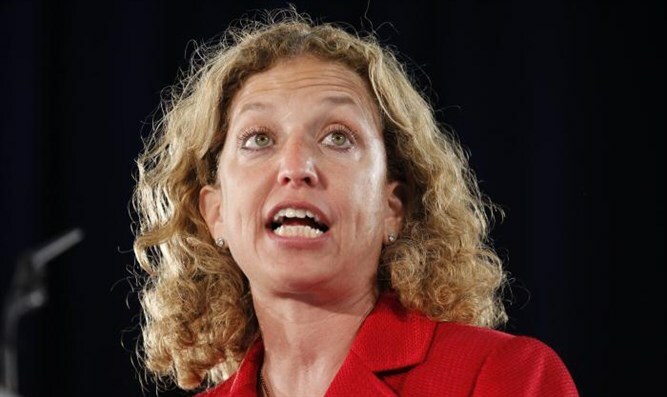 The Florida congresswoman's resignation comes amid hackers' release of emails that show DNC staffers favoring Hillary Clinton over Bernie Sanders in the party's 2016 nominating contest. "Going forward, the best way for me to accomplish those goals is to step down as Party Chair at the end of this convention," Wasserman Schultz said in her statement, quoted by CNN. "As Party Chair, this week I will open and close the Convention and I will address our delegates about the stakes involved in this election not only for Democrats, but for all Americans," she added. "We have planned a great and unified Convention this week and I hope and expect that the DNC team that has worked so hard to get us to this point will have the strong support of all Democrats in making sure this is the best convention we have ever had," said Wasserman Schultz. She had faced intense pressure Sunday to resign her post, several Democratic leaders told CNN, urging her to quell a growing controversy threatening to disrupt Clinton's nominating convention. Obama issued a statement, saying, "For the last eight years, Chairwoman Debbie Wasserman Schultz has had my back. This afternoon, I called her to let her know that I am grateful." "Her leadership of the DNC has meant that we had someone who brought Democrats together not just for my re-election campaign, but for accomplishing the shared goals we have had for our country," the president added, according to CNN. Clinton, for her part, thanked Wasserman Schultz for her leadership of the party. Meanwhile, Donald Trump weighed in on the goings on as well, tweeting, "Today proves what I have always known, that @Reince Priebus is the tough one and the smart one, not Debbie Wasserman Shultz (@DWStweets.)" One the nearly 20,000 emails, which were leaked Saturday, appears to show DNC staffers asking how they can reference Sanders' faith to weaken him in the eyes of Southern voters. Another seems to depict an attorney advising the committee on how to defend Hillary Clinton against an accusation by the Sanders campaign of not living up to a joint fundraising agreement. Several Democratic sources told CNN that the leaked emails are a big source of contention and may inflame tensions between the Clinton and Sanders camps. "It could threaten their agreement," one Democrat told the network, referring to the deal reached between Clinton and Sanders about the convention, delegates and the DNC. The party had agreed to include more progressive principles in its official platform and, as part of the agreement, Sanders dropped his fight to contest Wasserman Schultz as the head of the DNC. "It's gas meets flame," the Democrat said.